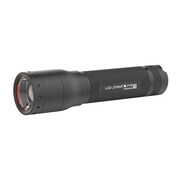 The all new Led Lenser P7R Rechargeable Torch is the newest flashlight in Led Lenser P-Series range. 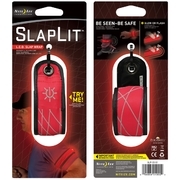 It is a rechargeable version of the popular P7.2 torch and represents a significant step-up from the non-recharing model in both performance and technology. The P7R features quick and easy recharging with Led Lenser’s patented Floating Charge System, with the flashlight being fully charged in 5 hours. The Advanced Focus System™ and reflector lens allows efficient, tailor-made lighting while the optimised performance allows for up to 210m beam distance and 1,000lm brightness (in Boost Mode). The P7R also features Smart Light Technology™ for individual lighting programs and optimised energy consumption - there are 3 light programs with a handy end cap switch. 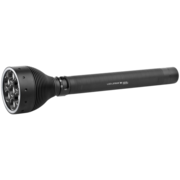 The torch is protected against splashing water to IPX4 water resistance and Speed Focus® with Fast Lock allows for fast focusing and secure locking of a focus position. The long life of the P7R gives up to 40 hours running time in Low Power Mode, meaning you'll always have your torch ready when you need it. 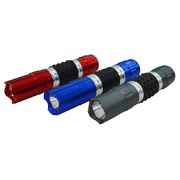 Quick and easy recharging with Led Lenser’s patented Floating Charge System. Fully charged in 5 hours. 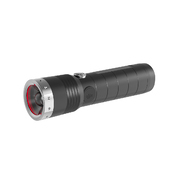 Advanced Focus System™ with reflector lens allows efficient, tailor-made lighting. Optimised Performance with up to 210m beam distance and 1,000lm brightness (in Boost Mode). Smart Light Technology™ for individual lighting programs and optimised energy consumption. 3 light programs with end cap switch. Speed Focus® with Fast Lock for fast focusing and secure locking of a focus position. Long life – up to 40 Hours running time (in Low Power Model). Help other Down Under Camping users shop smarter by writing reviews for products you have purchased.